Now that 2014 is far enough in the past, we can read summaries about the natural catastrophes that affected global insurance. Let’s explore some of the more interesting facts from last year regarding insured losses. First of all, it was a very quiet year for natural catastrophes. There was no major event that will define the year 2014, unlike 2011 (Thailand Floods, Tohuku), 2013 (Sandy), or of course 2005 (Katrina). In fact, no event was close to the Top 40 events of the past 45 years in terms of insured losses. As is usual when there is no major hurricane or earthquake, convective storm was the natural peril that caused the most damage to insured property. 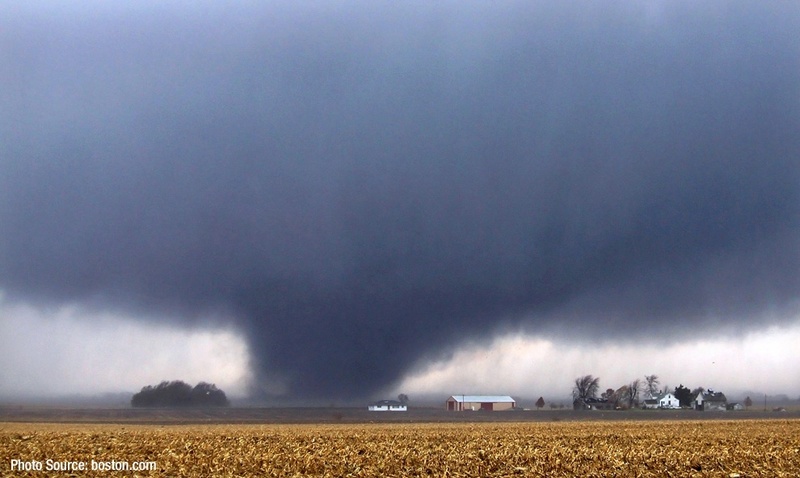 The prevalence of convective storm in the 2014 Top 10, and indeed its annual recurrence, is enough to reconsider breaking the peril into individual perils such as hail and tornado, rather than keeping them grouped together. Each aspect of convective storm causes significant losses, and they are inadequately modeled. The other immediately obvious aspect of the Top 10 is the dominance of U.S. losses — in any given year, the U.S. experiences significant losses on natural catastrophe that do not grab global headlines. Hail, tornado, and flash flood are annual mainstays for an insurer underwriting property in the U.S. Wildfire can be added to this list, though 2014 was a very quiet year for wildfire (outside of parts of California). The lack of significant flood events is an anomaly of 2014. Usually there is a flood event in the top 5, especially if there is a U.S. hurricane where most damage is due to storm surge rather than wind. The most costly flood event in 2014 was the winter flooding in the U.K. The 2015 Houston flooding has already cost more than any natural catastrophe in 2014. However, if total losses (including uninsured losses) are considered, two of the three largest catastrophes in 2014 were flooding: in India/Pakistan, and in Nepal. Further, flooding comprised four of the top five catastrophes in 2014 when measured by the number of casualties. These flood statistics support the slow but sure expansion of flood coverage throughout the world. Without any huge loss-causing catastrophes in 2014, the market for nat cat coverage (both insurance and reinsurance) will continue to be soft and flat. Naïve capacity will continue to grow, because quiet years make insurance look like an easy business. Insurers and reinsurers will continue to need stronger and smarter analytics to differentiate themselves, because a flat market exposes underwriting strengths…and weaknesses.